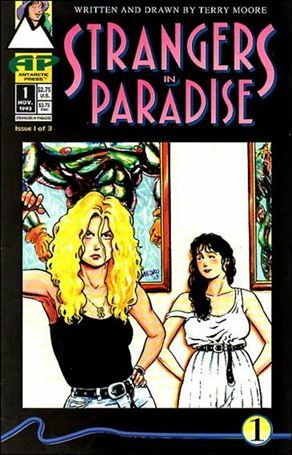 Terry Moore’s Strangers in Paradise has been optioned for a big-screen adaptation, with filmmaker Angela Robinson at the helm. The long-running comic, which will return for a short engagement in 2018 to celebrate its 25th anniversary, centers on three characters: Katchoo, Francine, and David. The three are living a quiet life in Texas when dark forces from Katchoo’s past track her down, hoping to take everything from her, including Francine and David. In the twenty-five years that he has been working in mainstream comics, Moore has earned a reputation for writing and drawing women well; when asked, he tends to deflect, saying that he simply writes them like people, and chooses to make his characters female because that is what he prefers to draw.